Around this time of year, inevitably I’ll be out in the Japanese Hill-and-Pond Garden and someone will ask, “When will the cherry trees blossom?” and I’ll have to point out, “Well, you’re standing under a really beautiful flowering cherry tree right now.” That’s because most people, when they come to see BBG’s cherry blossoms, are only picturing the straight rows of deep pink, multiflowered ‘Kanzan’ cherries (Prunus ‘Kanzan’) on Cherry Esplanade. Understandably so—‘Kanzan’ has always been a favorite of visitors, not to mention a media darling. It’s a shame, though, that the cultivar’s extravagant beauty sometimes overshadows the rest of the collection. Yoshino cherries also display a lovely progression in color. Their dark pink buds open to white flowers, which then turn pink again. Look for them soon. The beautiful pink weeping higan cherries (P. subhirtella ‘Pendula’) along the pond are in bloom right now, as are ‘Fudan-zakura’ and ‘Okame’ (P. sargentii ‘Fudan-zakura’ and P. ‘Okame’). 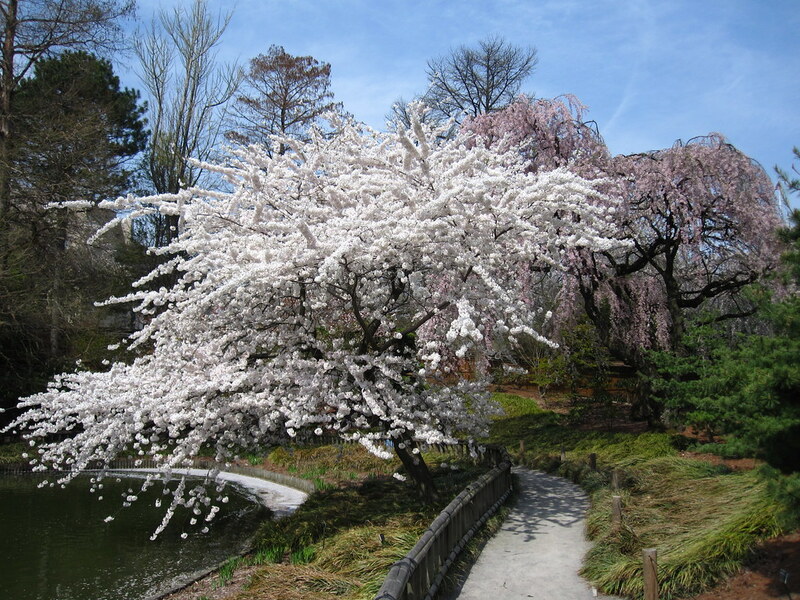 CherryWatch has the latest updates, locations, and descriptions of most of the cherry trees at the Garden. So if you’re waiting until the day to see the cherries, don’t. Instead try to see as much of the season as you can. When you do, also try to appreciate how the blossoms and the trees themselves appear in different contexts—nestled into the landscape of the Hill-and-Pond Garden, up close in the cherry cultivars area along Cherry Walk, as part of a panorama from the Overlook. Then by all means come back in later this month or in early May, when Cherry Esplanade will likely be in all its glory. But if you wait until then to see your first cherry blossom of the year, you’ll have missed most of the show. Cherry Esplanade is still pre-bloom — but we are hoping for early blossoms for next week’s festival! Check bbg.org/cherries for up-to-date information. Super excited for the Sakura Matsuri this year! Does anyone know if the cherries in the Cherry Esplanade are in bloom yet? It really sounds lovely! I’ll always remember BBG as one of my mom and dad’s favorite first dating places. 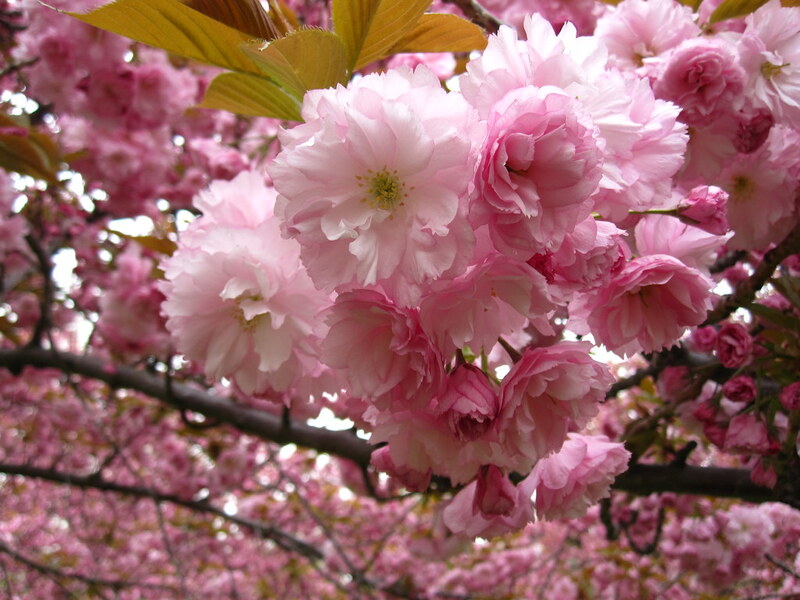 My mom was 98 this past December, and I would love to take her to see the cherry trees. Mom also loves to watch all the families and their beautiful young children enjoying the gardens. Thanks to all of you who make this the most beautiful garden in the whole city. 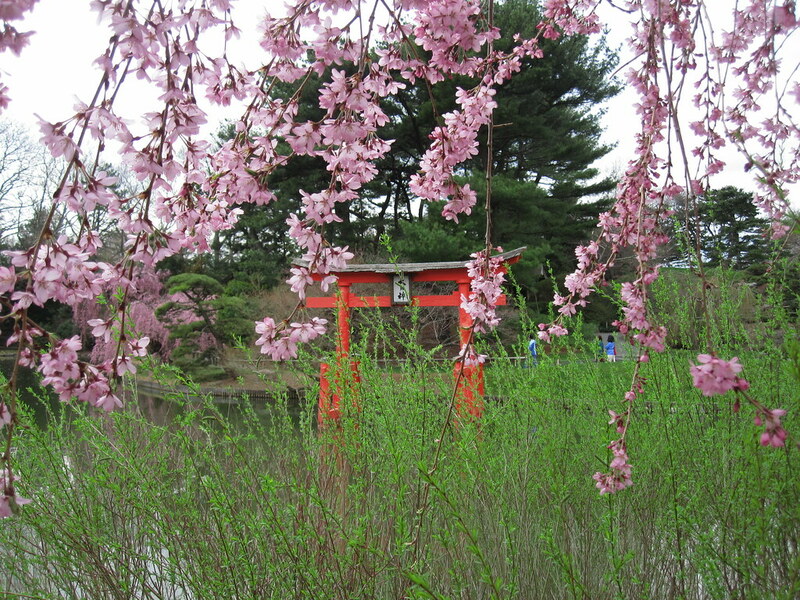 Prunus yedoensis, commonly known as Yoshino Cherry, in full bloom at BBG. Photo by Rebecca Bullene. Prunus 'Kanzan' on the Cherry Esplanade of BBG. Photo by Rebecca Bullene. Tori with the first blossoms of Prunus 'Pendula' in the Japanese Hill-and-Pond Garden. Photo by Rebecca Bullene. 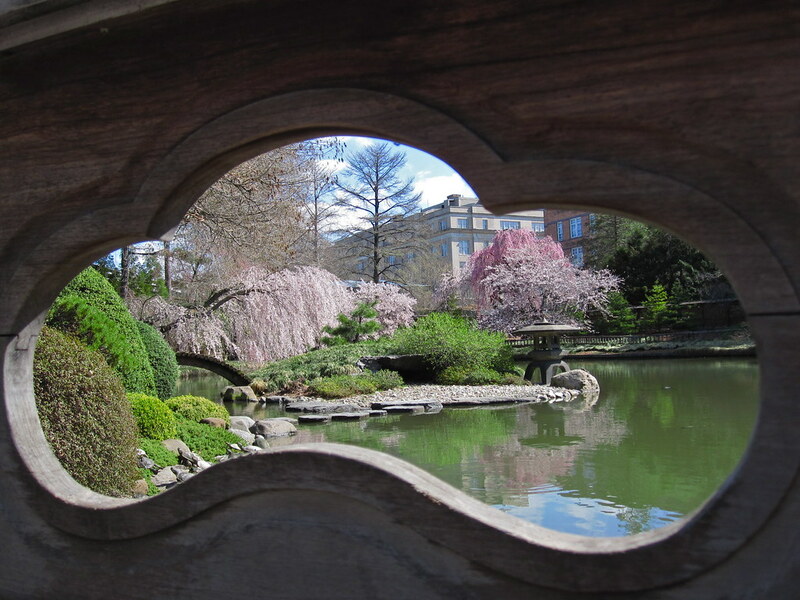 A view of cherry blossoms from the bridge in the Japanese Hill-and-Pond Garden. Photo by Rebecca Bullene.